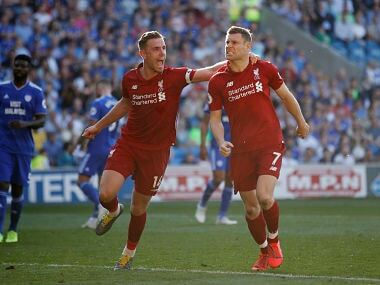 London: The Manchester clubs kept control of the title race, Alvaro Morata scored his first Chelsea hat-trick and Liverpool's Philippe Coutinho began to redeem himself for angling to join Barcelona. 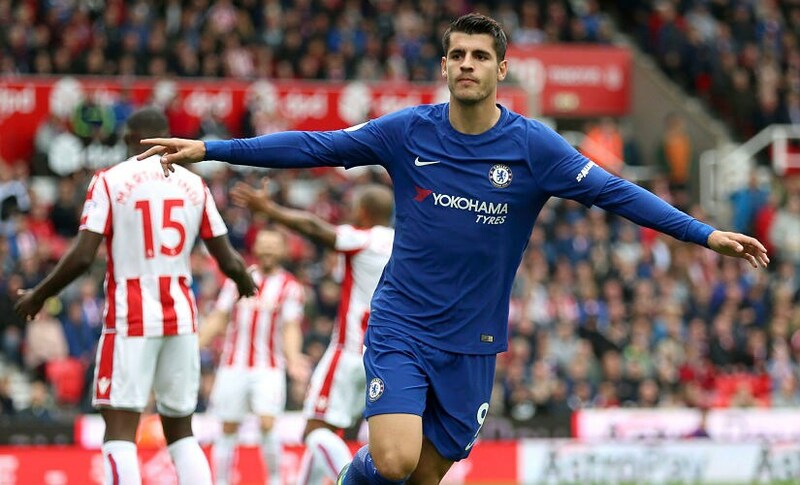 When Antonio Conte signed Alvaro Morata from Real Madrid in the close season, some critics suggested the Spain striker would not be an adequate replacement for Diego Costa given the unique physical demands of the Premier League. Whereas Costa is all snarling aggression and muscular power, Morata relies more on movement and subtle technique to outwit defenders. But the 24-year-old has made a quick transition to the English game and bagged his first Chelsea hat-trick in Saturday's 4-0 rout of Stoke City to take his tally for the club to six goals. In the week that Chelsea finally agreed a deal to allow Costa to return to Atletico Madrid, Morata showed the champions can move on with minimum fuss. Serge Aurier's full Premier League debut for Tottenham Hotspur showcased the best and worst of the controversial Ivory Coast international. He got forward well and helped to tee up Christian Eriksen for what proved to be the decisive goal in a 3-2 success at London rivals West Ham United. But the Paris Saint-Germain old boy was frequently caught out of position and was sent off with 20 minutes remaining after being shown a second yellow card for needlessly scything down Andy Carroll. Tottenham led 3-1 at that stage and had it not been for Aurier, they would have seen the game out much more comfortably. 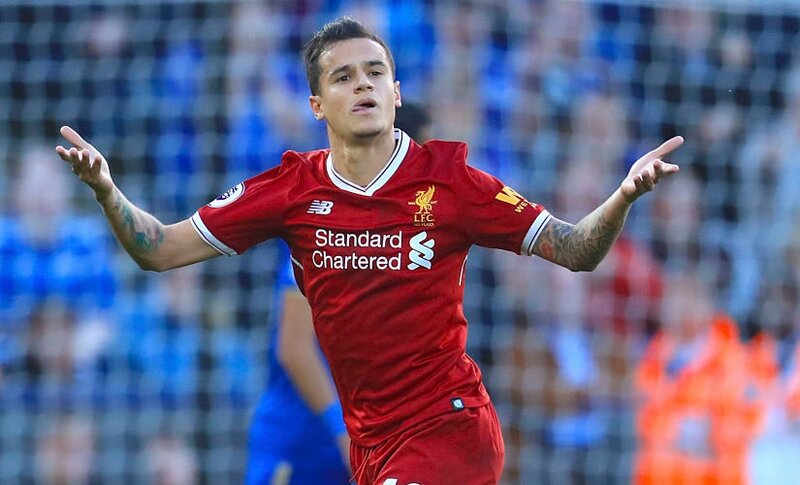 Less than a month ago, Philippe Coutinho was in danger of becoming Public Enemy No 1 at Anfield as the Liverpool play-maker tried to force through a move to Barcelona. When Liverpool refused to sell him, he was left in a potentially awkward situation. 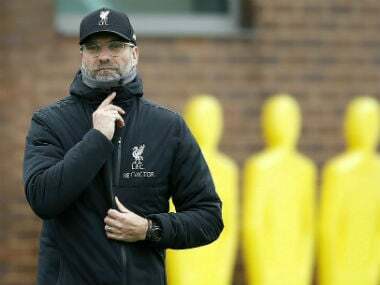 But manager Jurgen Klopp has handled the situation deftly, treating Coutinho respectfully without giving in to his demands. 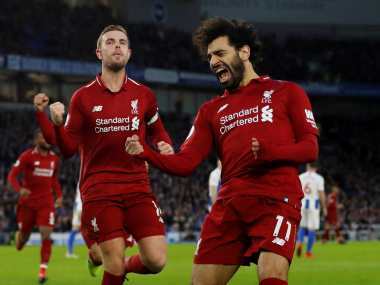 Back in the starting line-up at Leicester City, Coutinho showed his class by teeing up Mohamed Salah for Liverpool's opener before curling in a sublime free-kick that set his side up for a 3-2 win. More performances like this and his transfer saga will soon be a distant memory. By the admission of manager Jose Mourinho, Manchester United were not at their fluid best in their 1-0 win at Southampton. It was the sort of game United would not have won last season, when their league-high 15 draws contributed to a disappointing sixth-place finish. But new striker Romelu Lukaku gives them greater cutting edge and his 20th-minute goal settled the game, the Belgium striker finishing at the second attempt after Saints goalkeeper Fraser Forster parried his header. United have made their best start to a season since 2011-12 and Lukaku is only the second player (after Louis Saha) to have scored six goals in his first six games for the club in the Premier League era. 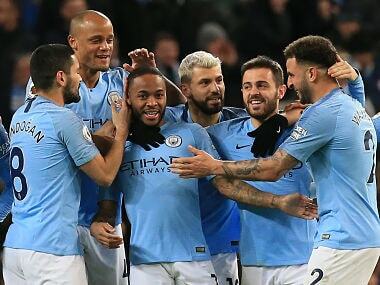 The writing appeared to be on the wall for Sergio Aguero at Manchester City last season when Gabriel Jesus's arrival in January saw him lose his place in the side. But an injury to Jesus brought Aguero back into the team and his performances convinced manager Pep Guardiola to begin this season with both players in his starting XI. 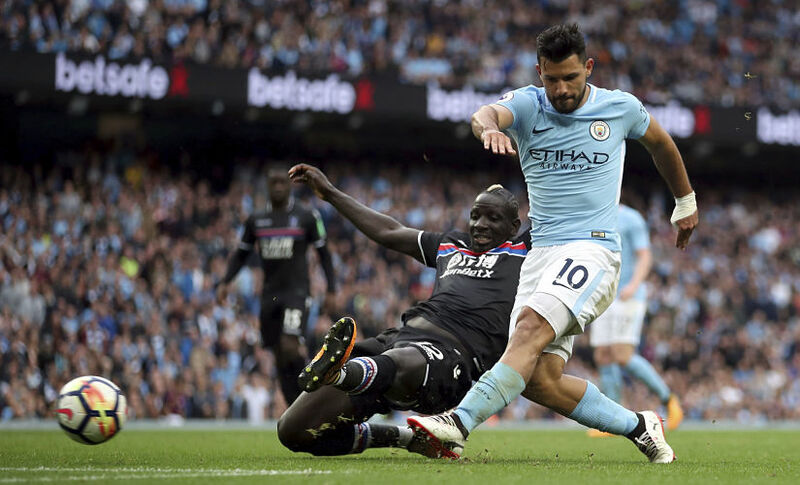 When Guardiola switched to a one-striker configuration against Crystal Palace, it was Jesus who made way and he was not missed as Aguero struck in a 5-0 rout that left City top of the table. The Argentina striker has now scored 176 goals for City and needs just two more to surpass Eric Brook as the club's all-time leading scorer.